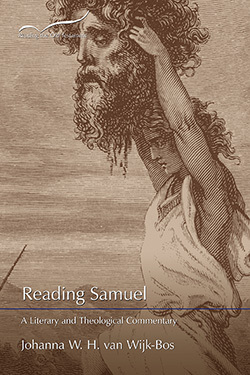 Interpreted masterfully by pre-eminent Old Testament scholar Johanna W. H. van Wijk-Bos, the story of Samuel touches on a vast array of subjects that comprise the rich fabric of human life. As it happens, in this volume we view ancient Israel in the era of Samuel, Saul and David. From parental yearning for their young to spousal and sibling relationships, these accounts entail far more than simply a recounting of the central characters lives and circumstances. The reader gains an inside look at royal intrigue, military campaigns, occult practices and the significance of religious objects of veneration. The Reading the Old Testament series will feature 19 volumes of innovative insights by leading biblical scholars. This literary and theological commentary presents cutting-edge research in accessible language that is both coherent and comprehensive. Johanna W. H. van Wijk-Bos is the Dora Pierce Professor of Bible and Professor of Old Testament at Louisville Presbyterian Theological Seminary. She holds degrees from Leiden University, The Netherlands (M.Div., M.Phil.) and Union Theological Seminary, New York (M.Phil, Ph.D.). Dr. Bos is an ordained minister in the Presbyterian Church (U.S.A.) and engages herself with issues of justice for women and disadvantaged groups locally and in the global arena. A pioneering woman in theological teaching, she was the only woman in 1976 to receive a doctorate from Union Theological Seminary in New York and the first woman to receive academic tenure at Louisville Seminary. Johanna W. H. van Wijk-Bos’ new commentary on 1-2 Samuel is elegantly written with the sensibility of a seasoned Old Testament scholar and the heart of a minister. She is sensitive to the theological and ethical issues regarding leadership raised by this sometimes difficult text and she also reflects on the women’s roles as few authors of commentaries have done before. This new volume in the Smyth & Helwys Reading the Old Testament series will be most helpful for preachers and teachers seeking a fresh word on familiar stories. The stories in 1 and 2 Samuel may seem an easy read, some of the easiest in the Bible. Johanna van Wijk-Bos leads us to read them slowly, notice the way the stories are told and the subtleties of their telling, and thus helps us derive much more from them than we might otherwise have gained. She helps us understand the dynamics of the stories and ponder the questions each one raises. 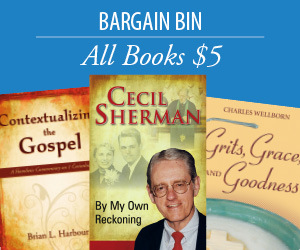 Like the biblical books on which she comments on, her book invites and rewards careful, attentive reading. At times biblical commentators tend either to paraphrase the biblical text more or less or almost to lose themselves in technical details. In her fine commentary on the two books of Samuel, Johanna van Wijk-Bos elegantly avoids both these pitfalls. In this meticulously researched book, she is constantly in dialogue with other scholars. She skillfully informs the readers about the significance of many of the Hebrew words for places and people, without losing herself in details. Arguably, one of the most important challenges for contemporary biblical commentaries is to what extent they take gender studies into account. Unsurprisingly, the two books of Samuel provide van Wijk-Bos with ample possibilities to discuss various aspects of gender issues, and she does it succinctly and sophisticatedly. This is a rich and thought-provoking commentary, allowing the narrative to speak for itself.